Did you misplace your user p-touch manual or purchase a machine that did not have one? Well, you can stop the search - we've gathered most of Brother's p-touch label maker User Instruction Manuals and made available for download (free of charge). A Brother P-touch® label maker provides a fast, reliable way to create adhesive-backed labels. But how can you use this label maker without the proper instructions? Fortunately, we're here to help. At PtouchDirect.com, we offer Brother P-touch manual downloads that are available 24 hours a day, seven days a week. Just select your model from the menu below and then you'll be able to download the ptouch manual you need - it's that simple! Find New P-touch Printers at great prices here - same day shipping!! Please Note: To view and print Brother's .pdf User Manuals, you will need adobe acrobat reader. If you don't have it, you can download it free. If you can't find your manual here or are looking for driver updates or software, try one of the following links: Check Brother's Support page here as they have all models - we try to keep up, you can also find driver and software updates here. PtouchDirect.com's Brother Labels and P-touch Tapes: Label more, pay less. Looking for a Brother MFC User Manual or DCP Operator Guide - we have those too! Our Brother P-touch label maker manual provides comprehensive instructions you can use to make the most of your label maker. And with quick, easy access to this guide on our website, you'll be able to make sure you’re using your label maker to its full potential. With our manual, you can enjoy step-by-step instructions that you can use to maintain the quality of your labeler. This manual provides first-rate tips and recommendations from experienced label making professionals, ensuring you can gain the insights you need to manage your label maker properly. 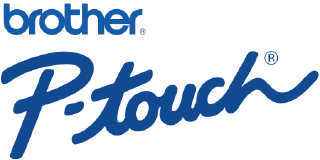 Day after day, PtouchDirect handles all of its clients' Brother P-touch manual needs. We consistently strive to provide you with up-to-date information about your label maker, ensuring you can use it without delay. Plus, we offer high-quality Brother P-touch labelers designed for home and office use. Regardless of whether you're looking for a label maker to organize items your personal belongings or business documents, our vast assortment of labelers ensures you'll be able to find one that fulfills your demands consistently. Let's not forget about PtouchDirect's commitment to its clients, either. For years, PtouchDirect has collaborated with customers to ensure all of their label making needs are fulfilled at all times. We take pride in delivering outstanding customer support and will go above and beyond the call of duty to ensure you receive the assistance you deserve. When it comes to Brother P-touch assistance, you simply cannot go wrong with PtouchDirect. We take the guesswork out of label making for our clients, empowering them to find the right labelers and label making accessories to fulfill their everyday needs. 1. Get P-touch tapes direct to your door - over 100 label tape colors and widths to choose from, getting organized is now easy. 2. We Guarantee delivery satisfaction: We offer fast and inexpensive shipping options on our Brother labels. Discover the PtouchDirect.com difference today! 3. Brother P-touch TZe tapes are the only tapes available that have a unique lamination, which makes the labels heat, cold, water, chemical and fade resistant (perfect for use outdoors, cold environments and near food). The tape labels are extremely durable, have a professional finish and will outlast other label tapes. Unlike ordinary labels, Brother labels use laminated tapes for exceptional durability. The lamination ensures that it resistant to smudges, stains, streaks, marks, rips, fading and peeling. 4. PtouchDirect.com guarantees quality: All our products are factory direct - no third party labels, no generic names - just brand new Brother P-touch labels factory sealed and delivered to your door. Brother labels are perfect for signs, shelf tags or name badges. Organize files, computer disks and videos or label outlets, cables and switches. You can even use Brother labels around the home or in the garden. 5. Do you need a label printer User Manual - we can help - select your Brother Electronic Labeler from the list above!